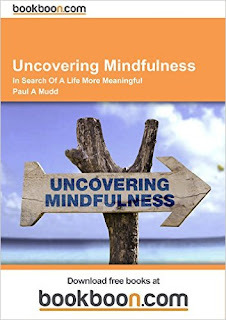 Mindfulness is a hot topic. A modern day global phenomenon with a 2500 year pedigree. It can change life's, improve business, help our children to excel at school & make the world a better place. But forget everything you may have seen, heard or read about it so far. This wee book uncovers mindfulness and tells you everything you need to know and more, &, with all that together with featured practical exercises, you can begin to change your life and the world around you, starting today.